PetIQ Inc. is to acquire Community Veterinary Clinics LLC (d/b/a VIP Petcare), which operates 2,900 veterinary clinics within pet retailers across 31 states. The transaction is expected to close by the end of this month. Windsor, Calif.-based VIP Petcare offers diagnostic tests, vaccinations, prescription medications, microchipping, and wellness checks, and distributes pet wellness products and medications. 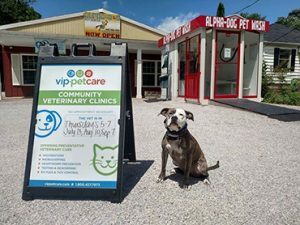 In 2017, VIP Petcare treated more than one million pets through its stationary clinics as well as its 76,000 mobile clinics, according to the company.